Paula Peck and Chinese food may not seem like they go together. Though she wrote a cookbook full of international recipes, she’s usually associated with croissants or lovely baked treats and not the inexpensive take-out dinner, complete with MSG (though she did go through a phase of excessive MSG use in the mid 60’s). Surprisingly, she has a fair number of Asian inspired dishes. 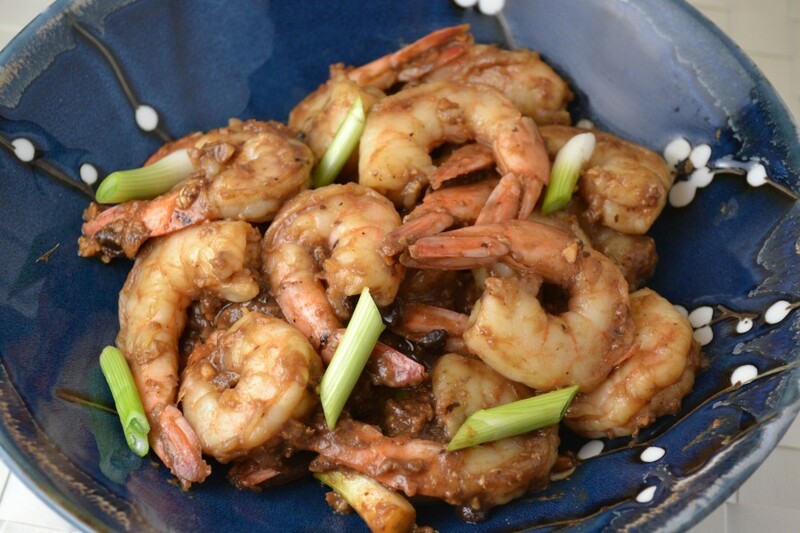 Her recipes span from Korean Meat and Oriental Chicken Kebabs from “The Art of Good Cooking,” to Sushi and this lovely quick shrimp saute or Chinese Style Shrimp with Black Bean Sauce, that remain unpublished since she was preparing for a new book. I’m not entirely comfortable improvising with Asian ingredients but I’m always surprised at how quick and easy many of the recipes are. The fermented black bean sauce is not as scary as you may think. It’s a basic sauce made up of fermented and salted black soy beans, garlic, rice wine, and salt and can usually be found in the international foods aisle at your grocery store. You could also try making your own sauce from fermented black beans, but the theme of this meal is quick! 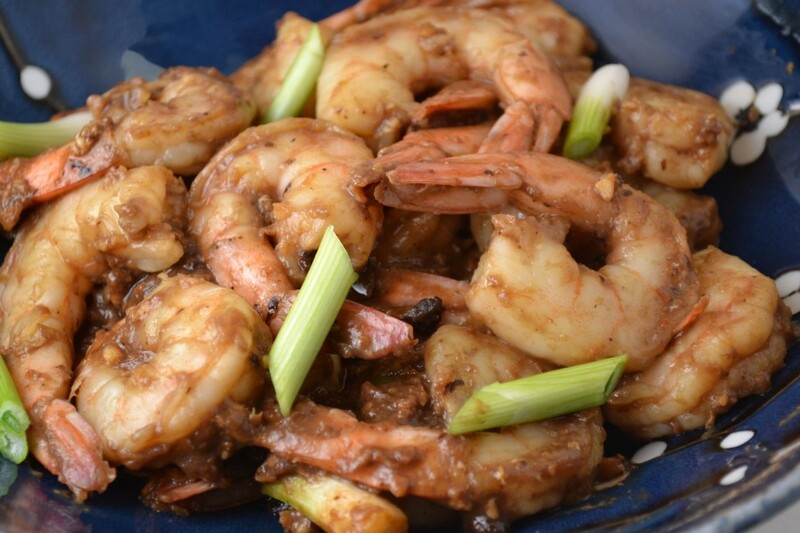 Combined with the cornstarch mixture (which Paula Peck notes will keep the shrimp moist and succulent during cooking), the sauce coats the shrimp so that the garlic bean flavor can be enjoyed with every bite. Serve alone or create a balanced meal with brown rice and a side of steamed broccoli. Combine shrimp with cornstarch and egg white. In a large skillet, heat oil. Add black beans, garlic, ginger, and half the green onions. Cook over high heat, stirring constantly. Add shrimp. Cook stirring constantly for just a few minutes or until shrimp become opaque. Stir in sherry and soy sauce. Stir only until sauce is thickened. Sprinkle with remaining scallions.